We are very pleased to announce the two charities who will benefit from the proceeds of the 2019 Andover Carnival. Valley Leisure Ltd.’s I Can Therapy Centre team in Andover is delighted to have been chosen as one of the beneficiaries. Through a competitive application process, Valley Leisure Ltd.’s unique and innovative power assisted exercise facility – ‘I Can’ – was chosen as a worthy beneficiary of funds generated by this year’s upcoming carnival. Valley Leisure Ltd is an independent charity based in Andover and has been established for nearly 30 years. The Charity operates Riverside Bowl, a popular, community driven ten-pin bowling facility in the town in addition to launching and managing the I Can Therapy Centre in late 2017. 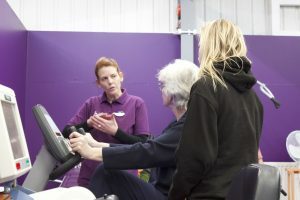 The I Can Therapy Centre is a bespoke clinically-lead, community-based, specially adapted power assisted exercise facility based within the Salto Centre, off Charlton Road. 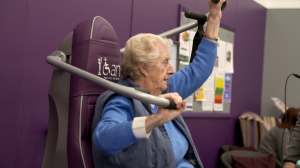 The highly skilled and supportive team, coupled with specialist exercise equipment enables those who may be older, inactive, deconditioned, disabled or limited due to long-term health conditions to exercise safely and effectively. Unlike conventional exercise equipment, the power assisted exercise equipment at I Can does not rely exclusively on muscle power but by an electronic power system enables users to work passively or actively depending on their ability. It is an ideal and safe way to exercise and work all the major muscle groups and help to re-train muscle movement patterns and at the same time stimulate the muscles for improved strength and circulation. 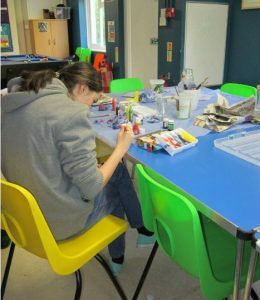 Andover Young Carers have been raising awareness, providing support and advocating on behalf of the young carers of Andover, and surrounding villages since 2000. Through their work with local schools identifying potential young carers, engagement with statutory agencies and other local charities regarding support, and running groups both at their Bungalow and off site, they ensure that the needs of young carers are recognised and met. As part of the Hampshire Young Carers Alliance (HYCA) they work together to ensure the needs of young carers in Hampshire are recognised and met.